At this time it's the only way to view the vendors we've imported, sorry about that! Thank you Sheena! I don't think I want to switch anything. These are payments made with a debit card that are coming directly out of our checking account. 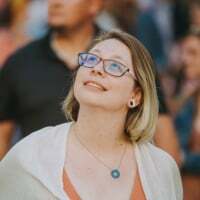 When they transactions sync to the "credit" card account ( I set up a Credit Card account in the Chart of Accounts so the transactions would sync over), I want them to match to the correct vendor name where the purchase was made. We have certainly monthly charges where this matched up beautifully, but we recently made a purchase at Costco and instead of matching to the Vendor Costco, it when to Misc. How can I get the vendor names to match our existing Vendors for charges made with our "credit card?" Hi @LisaVos, thanks for clarifying! In order to match the vendor in QB, the expense needs to have an exact match to the vendor name used in QB. For example, if you have a vendor in QB for Home Depot, but the expense exports with the merchant name "Home Depot Store #856", the credit card misc vendor will be used. 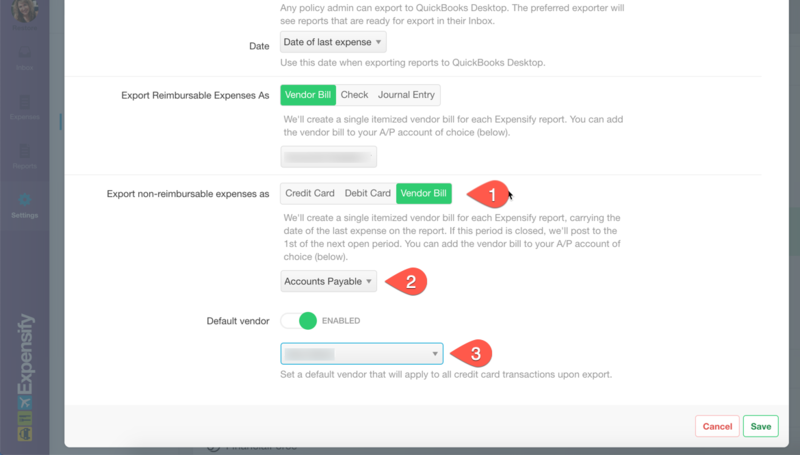 Right now the best way to deal with this is to have employees create Expense Rules in their Settings > Your Account > Expense Rules tab that automatically change common merchant names to match the vendor in QB. Expense rules are set up at the account level, so it's not possible to set them up in the policy for all policy members at once. You can vote in favor of this feature request in our Ideas category here.